Green coffee extract is said to aid in weight loss. It is the unroasted form of coffee bean and contains high amounts of chlorogenic acid. According to research made, chlorogenic acid has the ability to inhibit the accumulation of visceral fat, has anti-inflammatory properties and also protects the cardiovascular system. It increases insulin sensitivity as well. Green coffee extract contains lesser amount of caffeine than the coffee. Green coffee bean is the unroasted coffee bean. To get the extract, these beans are soaked and concentrated. The coffee that you usually drink is roasted and processed, which is the reason that it looks dark brown in colour and has a different aroma. Green coffee extract tastes different than the coffee. This is the reason why it is not very appealing to the coffee lovers. But green coffee extract can help in losing weight. How green coffee extract for weight loss? Coffee beans are rich sources of two phytochemicals, which are caffeine and chlorogenic acid. It is the chlorogenic acid that helps in losing weight. Roasting coffee can destroy the chlorogenic acid. This is the reason why green coffee extract is suitable for losing weight. According to research made, chlorogenic acid can improve the insulin sensitivity by down regulating the genes responsible for inflammation-induced weight gain and galanin-mediated adipogenesis. Chlorogenic acid can also prevent the absorption of fat and increase the metabolism of fat in the liver. This way it helps in weight loss. Green coffee extract also lowers the blood sugar and keeps a check on insulin spikes. Chlorogenic acid can lower plasma triglyceride and cholesterol levels in mice. Chlorogenic acid also reduces the absorption of sugar and thereby helps in weight loss. So, you can see that green coffee bean target the root causes of weight gain and therefore is great for weight loss. Which form of green coffee is good for weight loss? To make soluble green coffee all you have to do is to add a teaspoon of green coffee powder to water. You get three types of soluble green coffee in the market – powdered, freeze dried and granulated. Powdered coffee is made by crushing the green coffee beans under pressure in hot water. The best quality is freeze-dried green coffee. It is produced by freezing strong coffee infusions and then vacuuming. This dehydrates the coffee crystals. Coffee powder is accumulated and steam is used to form pellets. This way granular coffee is prepared. Although it is easiest to make soluble coffee, it contains more caffeine than other forms. So, green coffee extract is the best alternative to soluble coffee. Green coffee extract contains the highest amounts of chlorogenic acid and nutrients. You get them in the form of pellets or powdered form. The green coffee beans are processed to extract most of the chlorogenic acid. 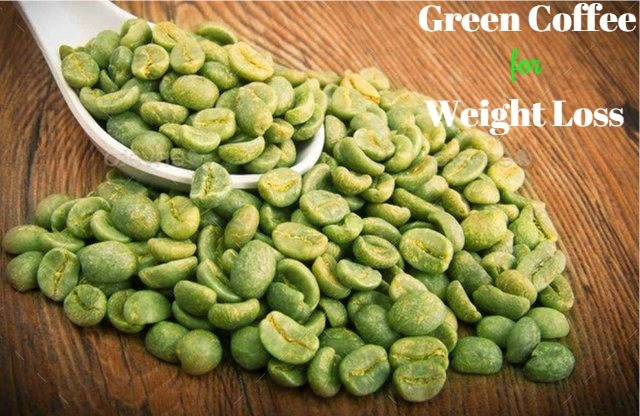 Consult your doctor before you buy a pack of green coffee powder or pills for losing weight. How to use green coffee to lose weight? Green coffee beans are needed to prepare green coffee. You can buy it from the market. Grind the green coffee beans with a coffee grinder brew a cup of green coffee. Remember not to use sugar or artificial sweetener. If you feel bored of drinking green coffee, you can add other ingredients that help in weight loss quickly. Take one cup of water and add one inch of cinnamon to this water. Let it seep overnight. Next morning use this water to prepare your green coffee. Cinnamon is very effective for regulating the blood sugar levels, improving insulin sensitivity and reducing LDL cholesterol. It also has anti-inflammatory properties. When you brew green coffee, add one teaspoon of crushed ginger to it. Seep it for about 3-5 minutes and then strain it. This is great for weight loss. Ginger contains gingerol and this has a thermal effect on the body. It also helps in increasing the insulin sensitivity. Prepare a cup of green coffee and add mint leaves to it. Let it seep for about 5 minutes and then you can drink it. Mint helps in flushing out the toxins and has weight losing properties that help in losing weight effectively. This combination is also great for losing weight. What you have to do is to add ½ teaspoon of crushed turmeric root to your green coffee. Seep it for 3 minutes. Turmeric is good for boosting fat metabolism, increasing insulin sensitivity and for reducing inflammation. So, if you are bored drinking the green coffee, add any of the ingredients mentioned above and drink your coffee. You can have it in the morning before or after workout. In the morning, with your breakfast. Commercial dosage of chlorogenic acid for losing weight is 200 – 400 mg per day. But you can have unlimited quantity of green coffee and lose weight. Tip – Avoid drinking green coffee right after you have had your meal. Is drinking green coffee considered safe? Green coffee products that you get in the market are manufactures by various companies and they may contain chlorogenic acid and caffeine in different concentrations. Moreover, low quality green coffee may be sold in the name of high quality green coffee. Caffeine in low quality green coffee may react with the drugs and supplements that you are currently taking. So, it s best to consult your doctor and make a research before you decide which brand to buy. Helps in burning the fat by increasing metabolism of the body. Increases the circulation of blood. Lowers bad cholesterol and regulates the levels of blood sugar. Green coffee can keep your stomach full for a longer time, thereby preventing overeating. Improves the activity of brain and keeps you active throughout the day.